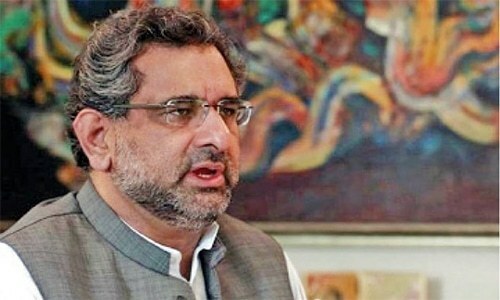 ISLAMABAD: Prime Minister Shahid Khaqan Abbasi on Thursday directed an overhaul of the power transmission, distribution and recovery processes of distribution companies (Discos) for cutting down inefficiencies, reducing administrative losses and to find a permanent solution to circular debt. He was chairing a meeting at the PM Office to review issues related to furnace oil and petroleum. The meeting was attended by Minister for Power Sardar Awais Ahmed Leghari, Secretaries of Finance, Power and Petroleum Divisions, MD Pakistan State Oil and senior officers of concerned departments. The prime minister directed for constitution of a high level committee to find solution to the issue of circular debt. The committee would be led by the power minister and would include representatives of ministries of finance and power as well as the Petroleum Division. The meeting took stock of the existing storage, production capacities of the local refineries and consumption. It was decided to restrict import orders for the furnace oil. Future import of furnace oil would be conditional to the approval from Cabinet Committee on Energy. The measure would help reduce import bill and ensure optimal operationalisation of LNG-based power plants. The prime minister directed the ministries of power and petroleum to ensure proper planning to ensure maintenance of required stocks of furnace oil to meet any emergency situation. The power minister briefed the prime minister on steps taken by the ministry towards streamlining the provision of new electricity connections to the consumers. He said by Jan 15 next year, all pending 0.8 million applications, would be disposed of. Furthermore, a system is being developed to ensure provision of electricity connections to consumers within 15 days of application, he added. The power minister briefed the meeting about steps taken to improve the performance of attached departments of the ministry.